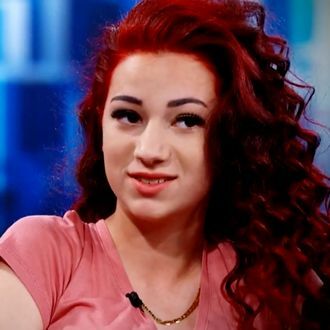 Back in September, Danielle Bregoli, an “out of control” 13-year-old, called the live audience at a taping of The Dr. Phil Show a bunch of “hoes” for laughing at her. In that moment, a new meme catchphrase, “Cash me outside, howbow dah,” was born, and Bregoli’s viral star began to rise. The clip picked up steam this winter, and by early February, Bregoli was everywhere you looked online. On sweatshirts (which she’s selling). In a music video. And streaming live on Facebook. Today, Bregoli and her mother returned for another dramatic episode with Dr. Phil. If your saw Bregoli’s original episode, you pretty much have a good understanding of what her new interview looks like … a lot of arguing between Phil, Bregoli, and her mom. (Though one major change: This time around, there is no audience of “hoes.”) The best moment of the episode lasts just a few seconds and involves Bregoli telling Dr. Phil, “I made you just like how Oprah made you. You were nothing before I came on this show.” Phil, to his credit, simply thanks her.